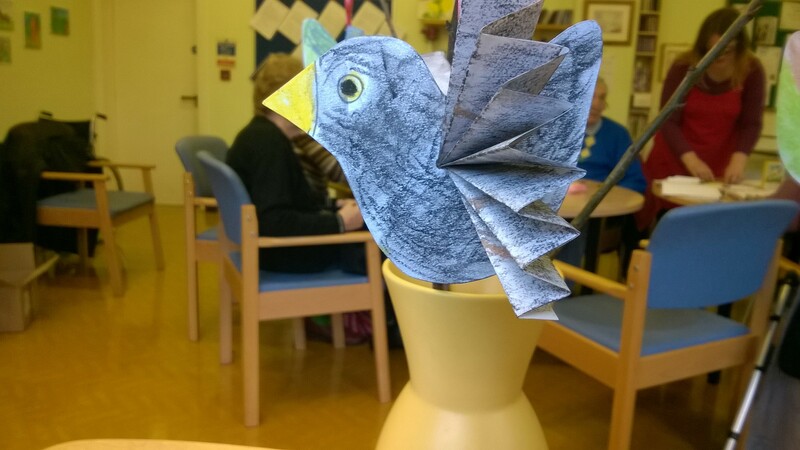 We offer a range of Arts and Crafts activities for the older generation focussing on ageing, reminisence and wellbeing. 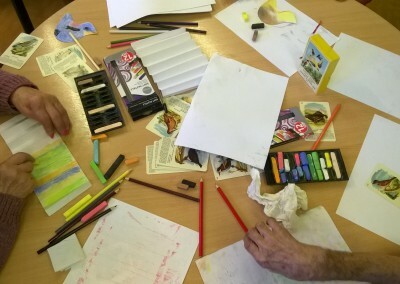 For more information, please feel free to contact GAP. 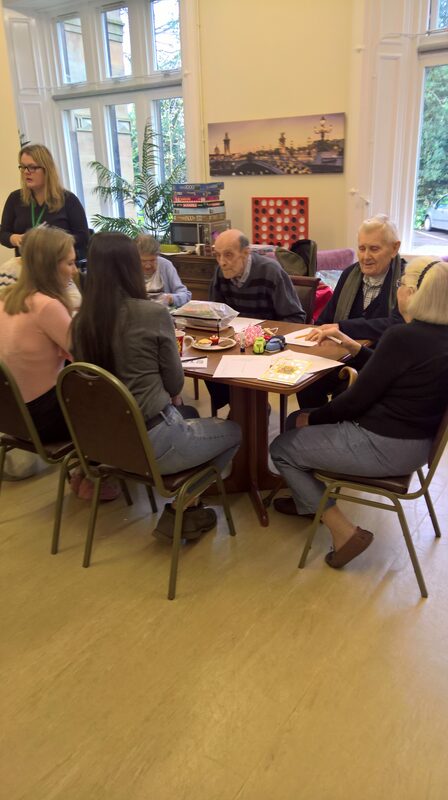 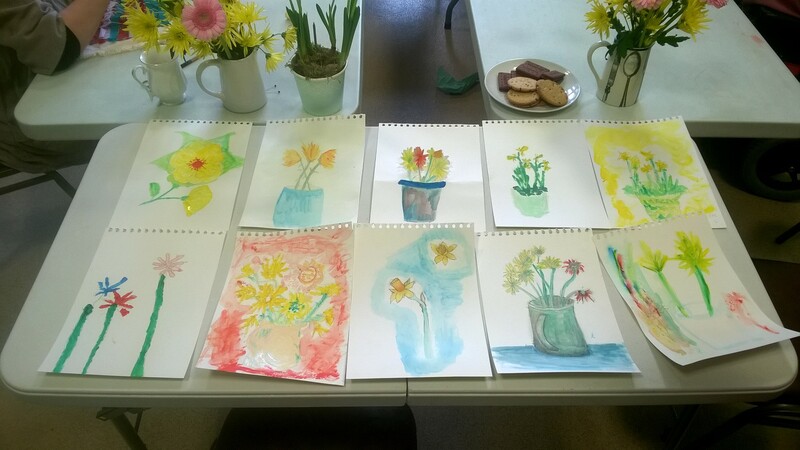 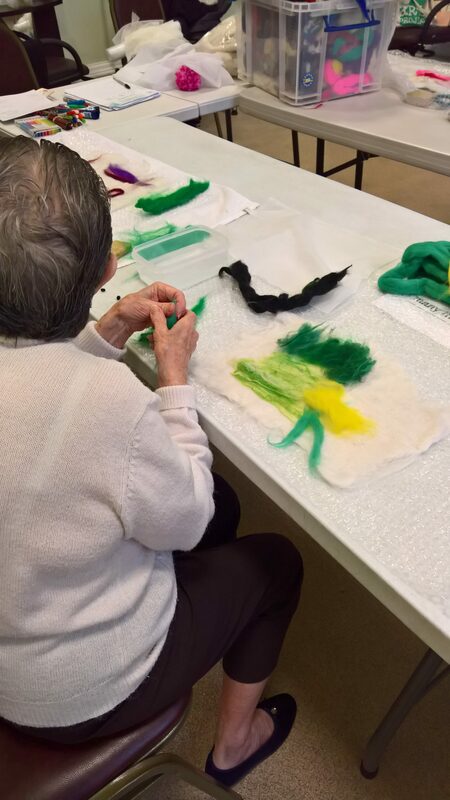 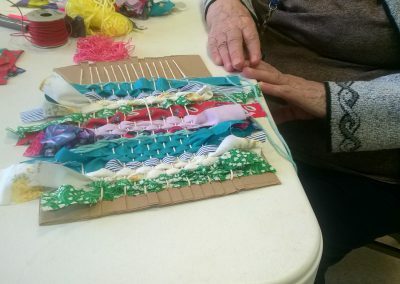 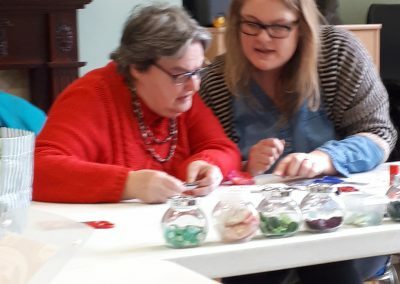 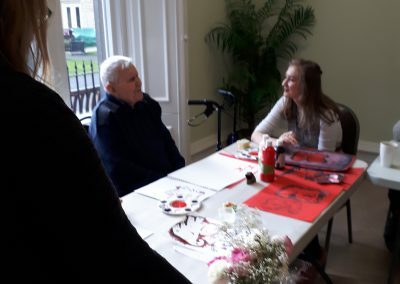 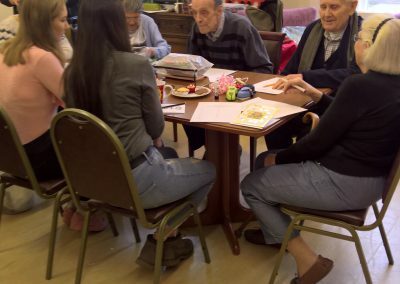 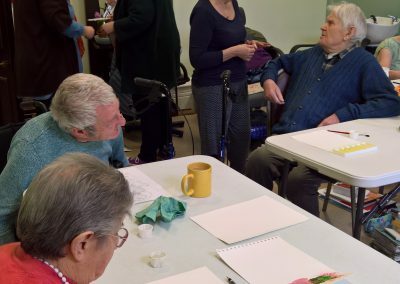 We have been working in collaboration with High Peak Community Arts to deliver Arts sessions at Whitfield House – Extra Care Housing Complex – South Yorkshire Housing Association funded by Derbyshire County Council Intergenerational Stategy. 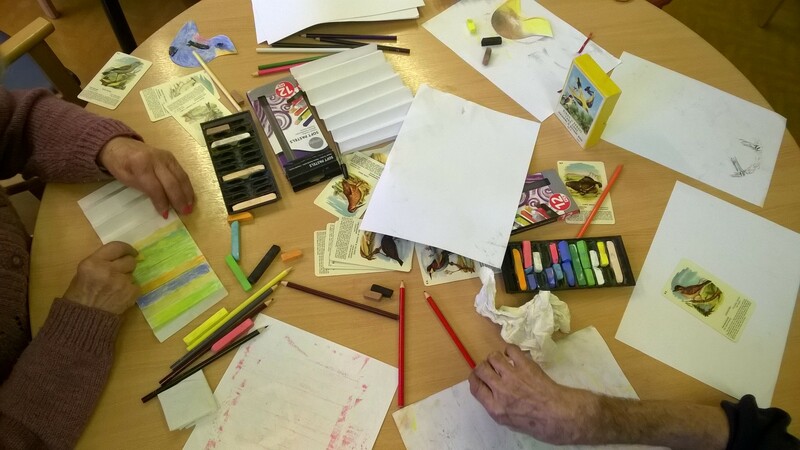 and Foundation Derbyshire. 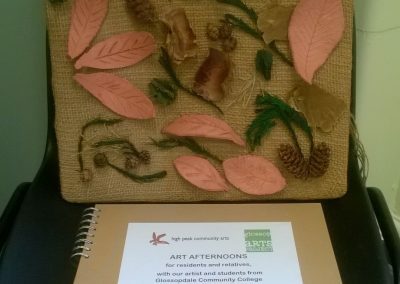 November 2016 – We worked with air drying clay and made models and imprints of autumn leaves. 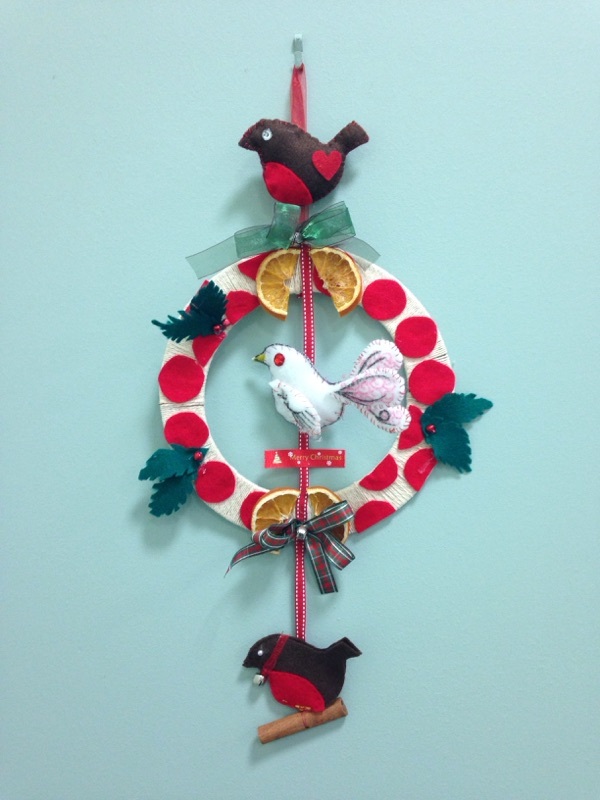 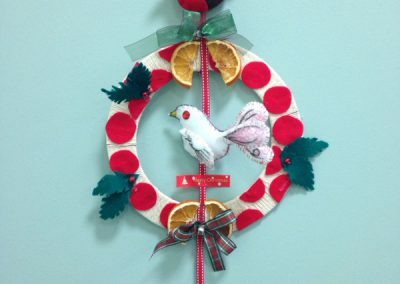 December 2016 – We made Christmas Wreaths and talked about the festive season with and without families. 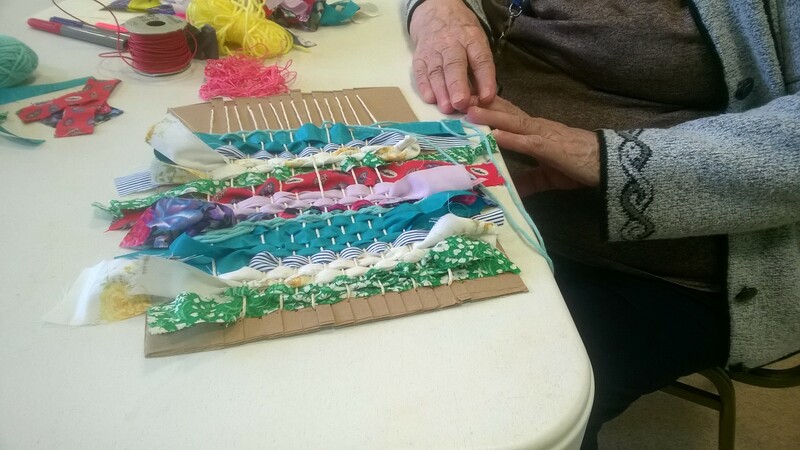 January 2017 – We used recycled textiles to make a wall hanging from woven panels. 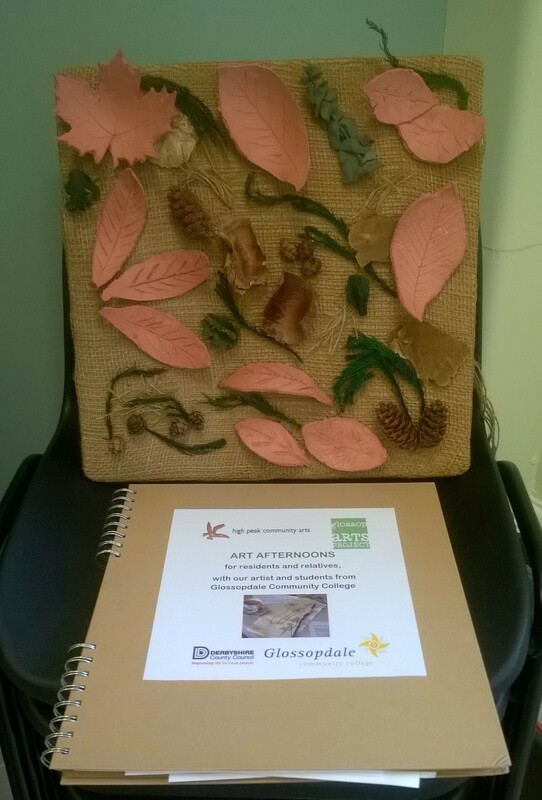 We discussed Glossop’s Mill town heritage. 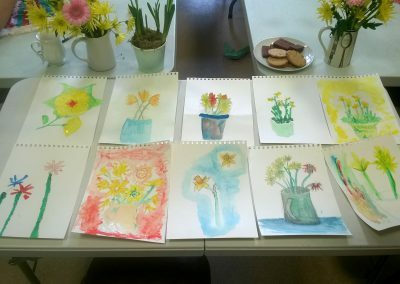 February 2017 – We welcomed Spring with watercolur paintings of spring flowers. 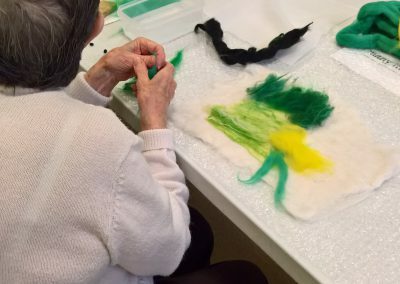 November 2017 – We ‘painted with felt’ landscapes using fibres – a very tactile session. 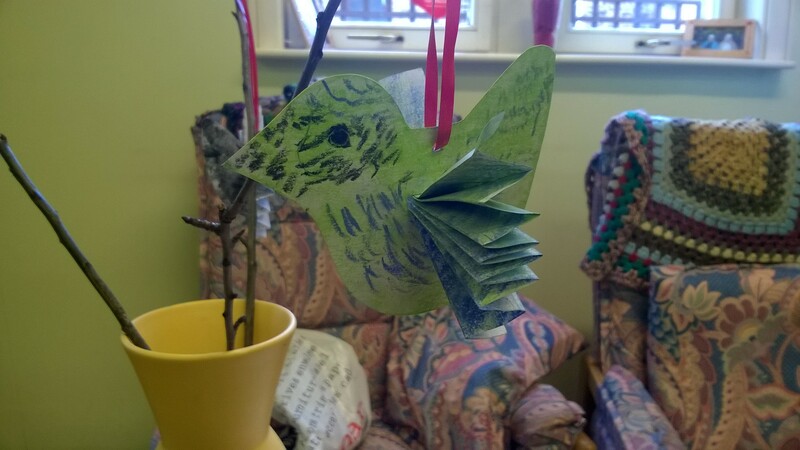 December 2017 – We made individual panels for a fantastic Advent Calendar for the communal area, using the participants favourite carols, poems and images. 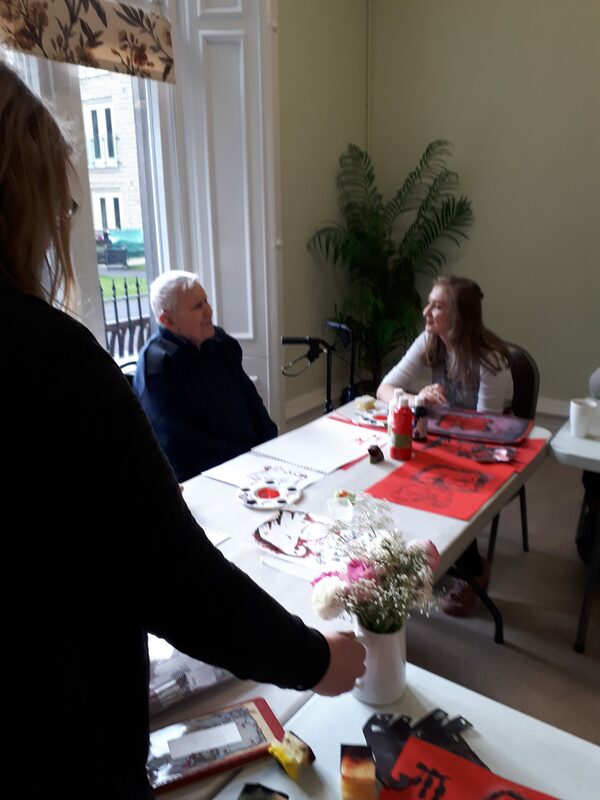 February 2018 – Chinese New Year – looking at other cultures. 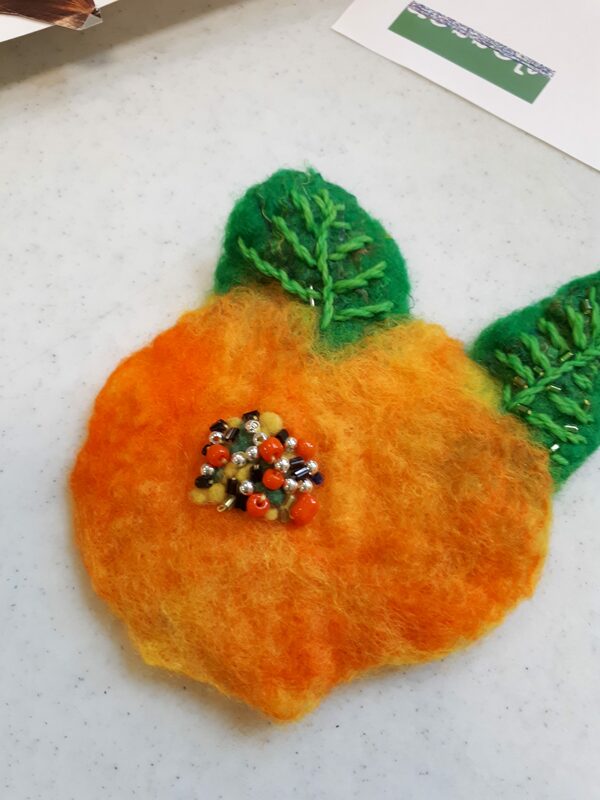 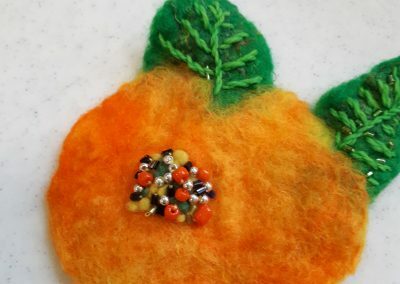 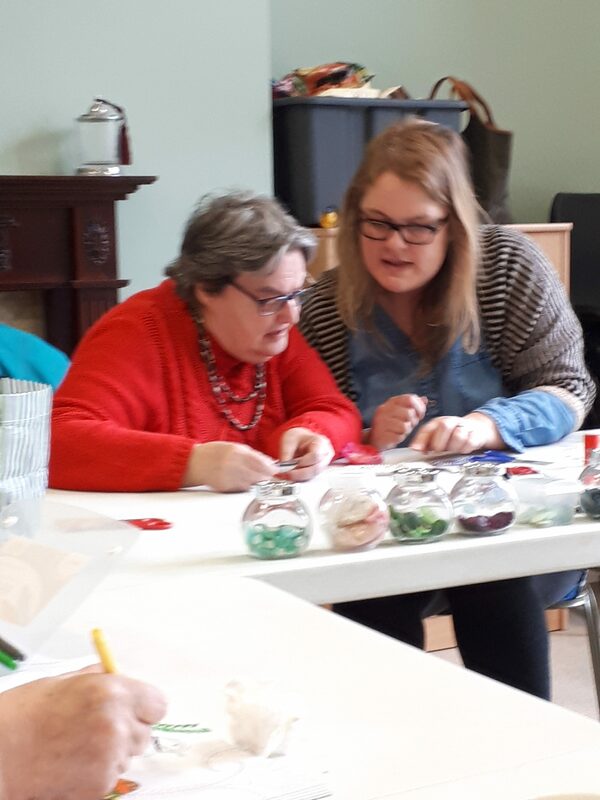 March 2018 – 3D Felt pieces – with Guest Artist Helen Robson. 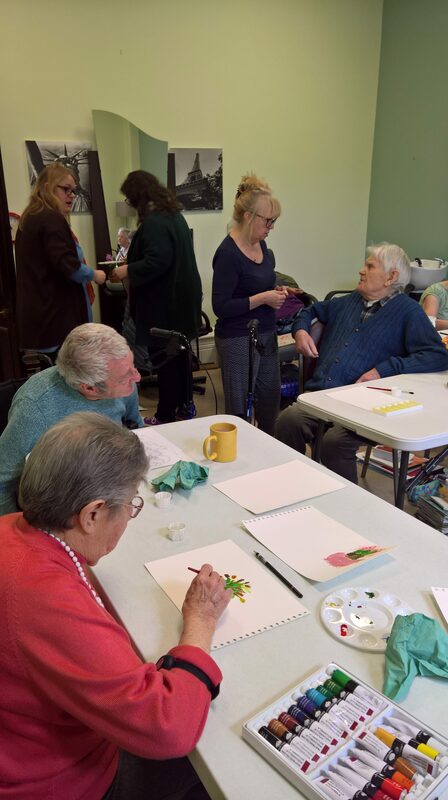 We tried out our new tools to make it easier for our participants with limited grip and dexterity. 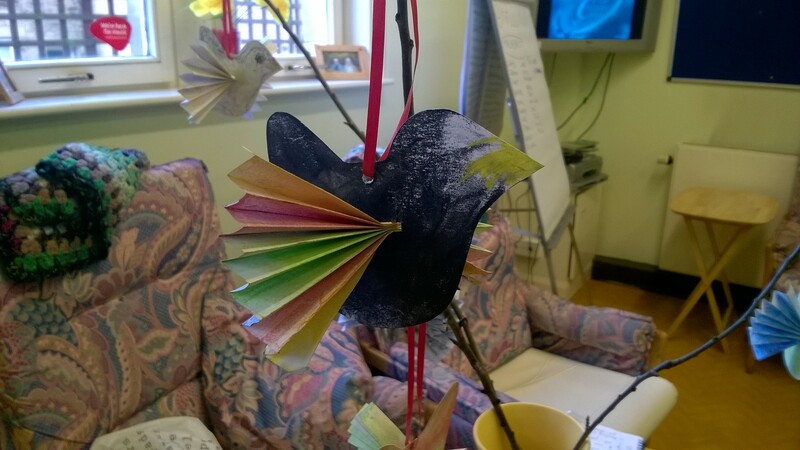 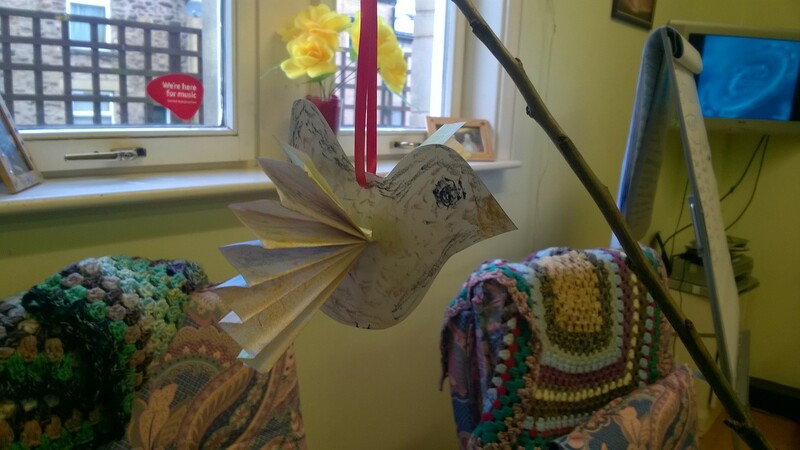 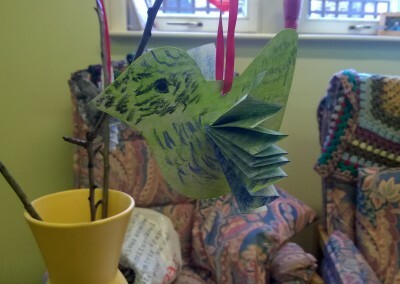 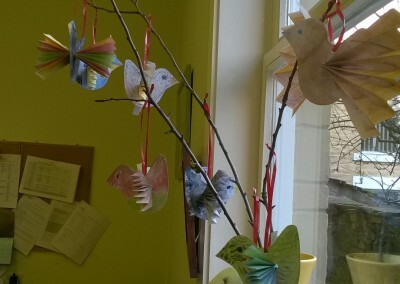 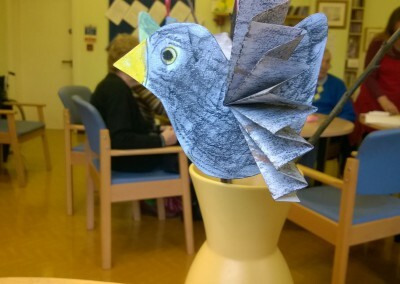 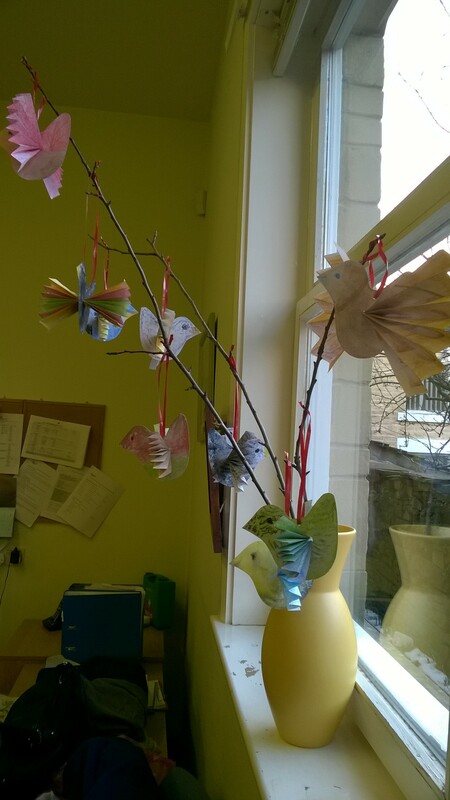 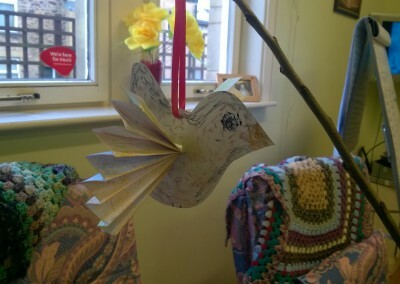 Some of our work with Age Uk looked at Spring, we made these beautiful paper birds. 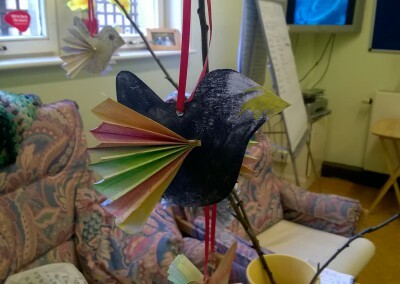 One of the participants remembered being evacuated to a village in Lancashire in WW2 from Salford and had never before heard birdsong.